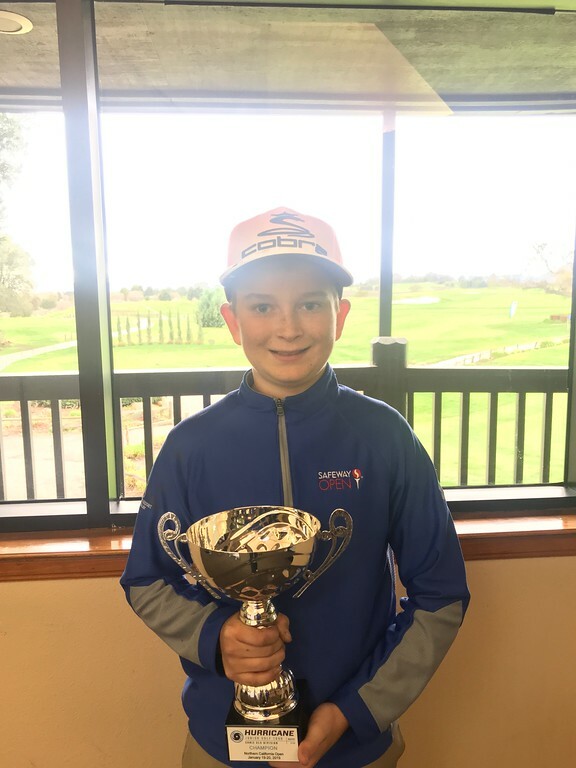 On Saturday, January 19, 2019 – Sunday, January 20, 2019, The Hurricane Junior Golf Tour Powered by the Junior Golf Hub held the Northern California Open in American Canyon, CA. The tournament was made up of a 36-hole, two-day format and the field was made up of four divisions that included the Tiger Woods Division Boys 16-18,Will Smith Division Boys 14-15, Ernie Els Division Boys 11-13, and the Justin Timberlake Division Girls 14-18. To view the full leaderboard click HERE! The Tiger Woods division turned out to be a hard fought battle for the top three spots. 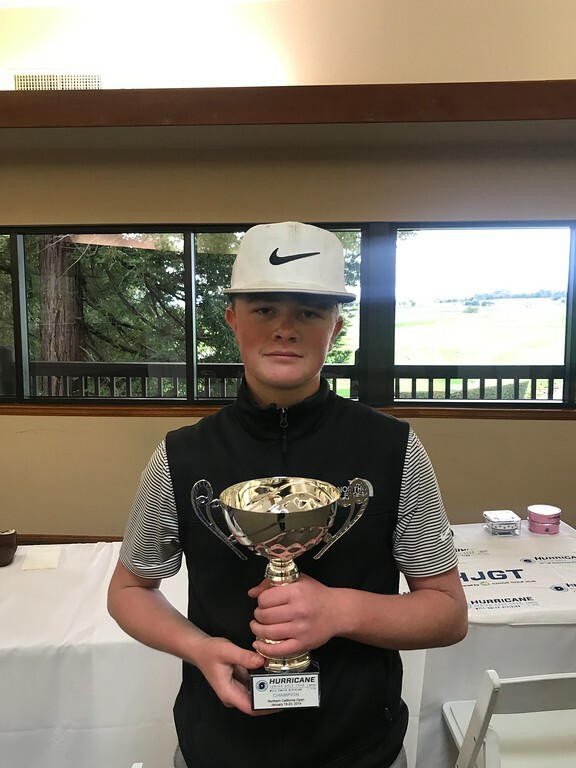 Taking home the first place trophy was Max Ray-Keil of Seattle, WA with an impressive score of 157. Just behind Max was Yusuf Ahmed of Folsom, CA, just one stroke off the leader with a strong showing of 77 on his second day. Taj Sutherland of Casper, WY retained the third place position with a score of 161. Jackson McClaren of Laramie, WY won the Will Smith division with a two-day score of 181. Just shy of first place was Arjun Aujla of Greenbrae, CA with a solid score of 183. Rounding out the division, Justin Lee of Los Altos, CA shot a 191 over the two-day span. 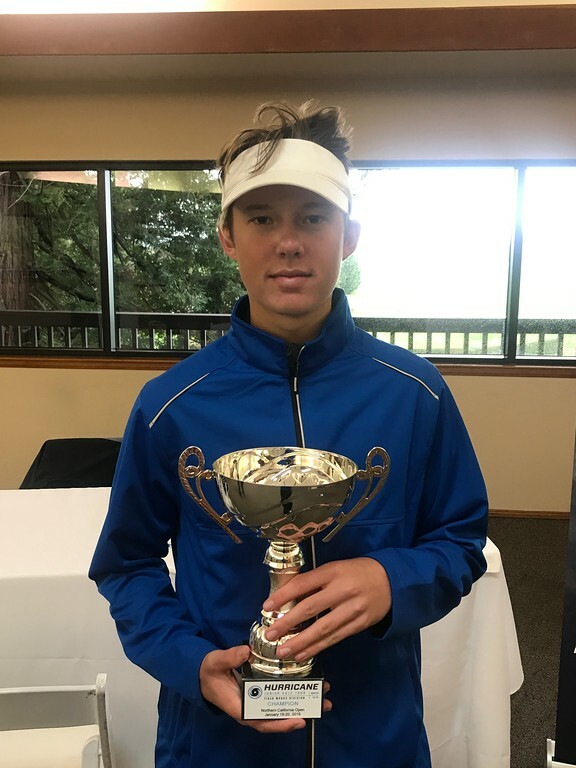 The Ernie Els division was made up of some talented kids, with Jack Keller of Napa, CA earning the top spot shooting a 92 and 91 consecutively. Just behind Jack was Brody Root of Belvedere, CA who shot a two-day total of 186. Earning the last spot on the podium was Evan Pimentel of San Mateo, CA with ascore of 205 after both days of play. If you wanted a tight race for a division championship, look no further than the Justin Timberlake division. 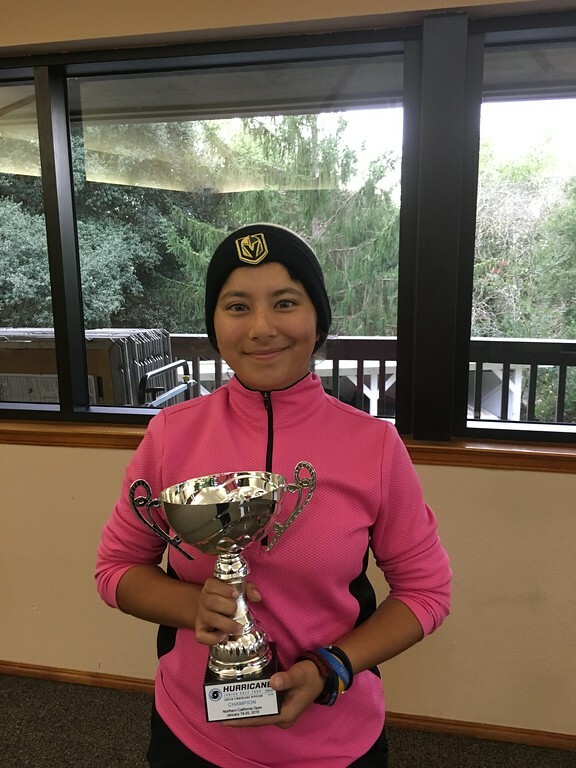 Kathryn Robinson of American Canyon, CA took first place over the weekend with an outstanding 82 and 75 for a two-day total of 157. Just a stroke off from the leader, we had a tie for second place between Madison Starke of Walnut Creek, CA and Jade Overton of Livermore, CA. Both girls shot an impressive 158 over the span of the two-day tournament.